If you were wondering what has happened to former Colgems alumni--and especially former members of the Monkees, Colgems' most successful act--this news flash came over the wire from something called TheImproper Music. "Micky Dolenz, child television actor and star of a 1960s sit-com about a fictional band called, “The Monkees,” is heading to London’s West End, where he will appear in the hit musical Hairspray, TheImproper has learned. The musical has had a hugely successful three-year run at the Shaftesbury Theatre. Dolenz will take the part of Wilbur Turnblad, the father of Tracy Turnblad. Tracy, the show’s protagonist, is a cheerful, rotund high school student whose only desire is to make the cut as a dancer on a 1960s television dance show. In the hit 2007 movie version, Wilbur, a genial joke-store owner was played by Christopher Walken, and Tracy was played by Nikki Blonsky. Dolenz, was a child actor in Hollywood, who starred in a 1960s sit-com about a fictional music group called The Monkees. The show, which played off the fame of The Beatles was a smash success and the cast formed a real-life musical group that scored a number of top hits. 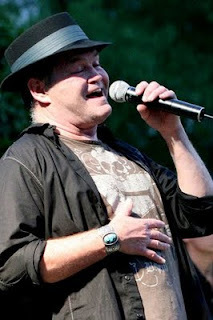 Dolenz will be on familiar ground on stage. He has appeared in productions of "Grease," "Aida," "Pippin’" and "A Funny Thing Happened On The Way To The Forum." Dolenz most recently has been touring in “Teen Idol,” a show featuring hit music from the 1960s with former Herman’s Hermits frontman, Peter Noone and Mark Lindsay, former lead singer for Paul Revere and the Raiders. He’s also wrapping up a tribute album to legendary singer/songwriter Carole King, entitled King For A Day. The album will be released around the time of his London-debut in February 2010. In its three-year run, the West End’s version of Hairspray has won more than 40 awards. In addition to Dolenz, actor Brian Conley will return on the same date as Tracy’s voluptuous mother, Edna. Pop legend Belinda Carlisle, formerly of the Grammy winning, all-girl band, The GoGos has been playing vain villainess Velma Von Tussle. London has thoroughly embraced the show. The smash-hit recouped its entire £3.5 million investment in a record-breaking 29 weeks. The show opened on 30 Oct. 2007 to universal critical acclaim. At the 2008 Olivier Awards, the UK equivalent of the Tony Awards, Hairspray won “Best Musical” as well as “Best Actor in a Musical” for Michael Ball, and “Best Actress in a Musical” for LeAnne Jones. The Broadway version of Hairspray, based on a 1988 movie by John Waters, won eight Tony Awards in 2003, and was adapted to the big screen by New Line Cinema, starring John Travolta in 2007. Set in 1962 in Baltimore, Md, “pleasantly plump” teenager Tracy pursues stardom as a dancer on a local TV show and rallies against the show’s policy of racial segregation." Good luck to Micky! He had much success in England in the 1980s as a director, and now he is returning. We will miss him while he is there. 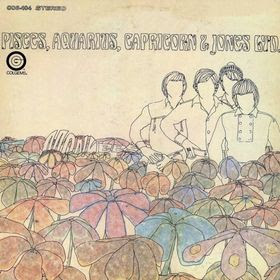 Here is this month's Colgems upload of the Monkees' fourth and most mature LP, "Pisces, Aquarius, Capricorn & Jones Ltd." It came out nearly 42 years ago on Nov. 25, 1967 and it was their fourth, and final, No. 1 album on the Billboard Top Albums chart. The use of the moog synthesizer was prevalent throughout the recording of this LP, and it is credited with being the first rock album to use this instrument. Whether that is true or not, it was certainly the first No. 1 rock album to feature it prominently. "The album is particularly interesting for the pioneering use of the Moog synthesizer, which Micky Dolenz introduced to the group and played in the studio; he owned one of the first twenty ever sold. Pisces is perhaps the first hit rock or pop album to feature the Moog. In any event, Pisces is one of the first few commercially issued recordings in any musical genre to feature the instrument. Micky Dolenz plays the synthesizer on "Daily Nightly" and electronic musician Paul Beaver plays the Moog on "Star Collector." This album probably marked the zenith of the band's popularity, although more successes were yet to come, through a couple of singles which cemented their legacy as one of the top pop acts of their time. You can access this album at http://launch.groups.yahoo.com/group/albumania/.